"Examining modern and postmodern artwork from 1945 onward, Eversole reveals the influences of ancient Egypt, India, China, and alchemy on this art. He draws extensively on philosophy, myth and symbolism, literature, and metaphysics to explain the seven stages of spiritual death and rebirth of the soul possible through art: the experience of self-loss, the journey into the underworld, the experience of the dark night of the soul, the conflict with and triumph over evil, the awakening of new life in the depths of being, and the return and reintegration of consciousness on a higher plane of being, resulting finally in ecstasy, transfiguration, illumination, and liberation. To illustrate these stages, Eversole includes works by abstract expressionists Jackson Pollock, Willem de Kooning, and Mark Rothko and modern visionary artists Alex Grey and Ernst Fuchs, among others, to reveal the powerful and liberating forces art contributes to the transformation and evolution of human consciousness." The very meaning of Sufism is not known, and even Sufis differ on its meaning. Supposedly the true name of Sufism-Tasawuf is derived from the Arabic word for wool suf, but this is uncertain. Scholars certainly have various ideas of the origin and meaning of Sufi. We will go through these different opinions and try to come up with the most likely answer to this question. As for the relationship with the exoteric religion of Islam, historical and doctrinal, these connections will be covered, and the obvious fact that despite some peoples notions, Islam not only originated with the Prophet Muhammad, but without him there would be no Sufism. We will have what I hope is a rich example of Sufism in modern action with the description of four modern masters and their various approaches to this mystical science, that will give the reader a picture of modern Sufism, and its different formulations. 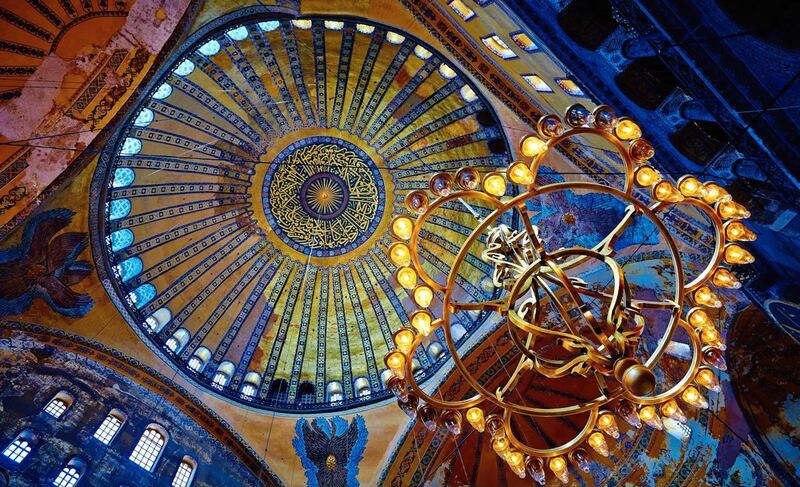 Doctrinally, the science of Sufism is a rich example of esoteric theory and practice of immense practicality and beauty, in its comprehensive ideas that entail an Integral cosmology and psychology unrivaled in its universal approach. If God has called you to be really like Jesus, He will draw you into a life of crucifixion and humility, and put upon you such demands of obedience, that you will not be able to follow other people, or measure yourself by other Christians, and in many ways He will seem to let other good people do things which He will not let you do. Other Christians and ministers who seem very religious and useful, may push themselves, pull wires, and work schemes to carry out their plans, but you cannot do it; and if you attempt it, you will meet with such failure and rebuke from the Lord as to make you sorely penitent. Others may boast of themselves, of their work, of their success, of their writings, but the Holy Spirit will not allow you to do any such thing, and if you begin it, He will lead you into some deep mortification that will make you despise yourself and all your good works. Others may be allowed to succeed in making money, or may have a legacy left to them, but it is likely God will keep you poor, because He wants you to have something far better than gold, namely, a helpless dependence on Him, that He may have the privilege of supplying your needs day by day out of an unseen treasury. The Lord may let others be honored and put forward, and keep you hidden in obscurity, because He wants you to produce some choice, fragrant fruit for His coming glory, which can only be produced in the shade. He may let others be great, but keep you small. He may let others do a work for Him and get the credit for it, but He will make you work and toil on without knowing how much you are doing; and then to make your work still more precious, He may let others get the credit for the work which you have done, and thus make your reward ten times greater then Jesus comes. The Holy Spirit will put a strict watch over you, with a jealous love, and will rebuke you for little words and feelings, or for wasting your time, which other Christians never seem distressed over. So make up your mind that God is an infinite Sovereign, and has a right to do as He pleases with His own. He may not explain to you a thousand things which puzzle your reason in His dealings with you, but if you absolutely sell yourself to be His love slave, He will wrap you up in a jealous love, and bestow upon you many blessings which come only to those who are in the inner circle. Settle it forever, then, that you are to deal directly with the Holy Spirit, and that He is to have the privilege of tying your tongue, or chaining your hand, or closing your eyes, in ways that He does not seem to use with others. Now when you are so possessed with the loving God that you are, in your secret heart, pleased and delighted over this peculiar, personal, private, jealous guardianship and management of the Holy Spirit over your life, you will have found the vestibule of Heaven. George D. Watson was a Wesleyan minister and evangelist in Los Angeles. He conducted evangelistic campaigns in England, the West Indies, New Zealand, Australia, Japan and Korea. He also wrote many books. Gerald G. May practiced medicine and psychiatry for 25 years before joining the full-time staff at the Shalem Institute for Spiritual Formation in Bethesda, Maryland, where he is now Senior Fellow in Contemplative Theology and Psychology. He is the author of many books including Simply Sane and The Awakened Heart: Living Beyond Addiction. 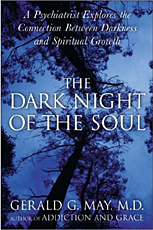 In this helpful resource, May gives an anatomy of the dark night of the soul and opens up some of its rich meanings through his assessments of the Christian mysticism of Teresa of Avila and John of the Cross in sixteenth century Spain. He begins by clearing away some misconceptions about this phenomenon. The first is that authentic spiritual growth requires monumental struggle and tragedy. Suffering is not something designed to test the spiritual elite; it simply arises from the circumstances of life. Nor does the dark night of the soul only occur once in a lifetime. It doesn't only happen to holy people. And we must get rid of the idea that it is a bad thing. "The dark night is a profoundly good thing. It is an ongoing spiritual process in which we are liberated from attachments and compulsions and empowered to live and love more freely. Sometimes this letting go of old ways is painful, occasionally even devastating. But this is not why the night is called 'dark.' The darkness of the night implies nothing sinister, only that the liberation takes place in hidden ways, beneath our knowledge and understanding. It happens mysteriously, in secret, and beyond our conscious control. For that reason it can be disturbing or even scary, but in the end it always works to our benefit." Many of us, because of a critical illness, suicidal depression or life threatening accident, have been faced with having to recommit to life to go on living. Sometimes the road back is long and arduous. It raises questions about God and faith, the engine behind achievement, and the persistence of love, divine and human. What brings us to this point? At what point do we decide, YES, I choose life! How do we go about putting our lives back together after reaching this point? This process, along with a physical crisis, also includes what has been called through the ages, “the dark night of the soul,” which refers to purifying the soul of worldly attachments in preparation for illumination. As psychologist, Carl Jung reminds us, "when the soul embraces and accepts suffering, the pain reveals itself as the birth pangs of a new inner being." As Jung points out "the birth of the Self is always a defeat for the ego." 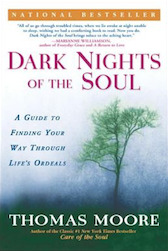 Author Gregg Braden presents the dark night of the soul as one of the Essene Seven Mirrors of Relationship, allowing us a deeper understanding of our relationship with ourselves and others, and an opportunity to explore the our relationship with the Divine. The "dark night" might clinically or secularly be described as the letting go of one's ego as it holds back the psyche, thus making room for some form of transformation, perhaps in one's way of defining oneself or one's relationship to God. This interim period can be frightening, hence the perceived "darkness." Many individuals who ingest ayahuasca may find themselves in an ‘archetypal transformation’ similar to what Joseph Campbell would call the ‘hero’s journey’: an exploration of the unknown that many individuals undertake, whether or not they are aware of it – although it is this awareness of a ‘heroic journey’ embedded in mythological themes, that has a tendency to enrich the ‘life adventure’. The prominent feature of this journey involves a ‘deconstruction’ and ‘resurrection’, resulting in an entirely new outlook on life. For example, encounters with Jesus Christ during altered states of consciousness (ASC) are particularly notable since his death and resurrection provide a particularly profound dramatization of this motif. 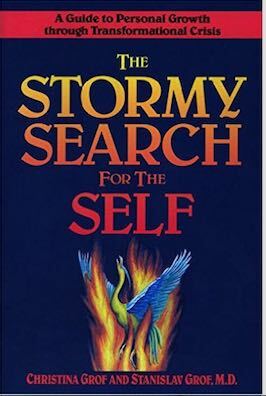 In their book, The Stormy Search for the Self, A Guide to Personal Growth Through Transformational Crisis, Stanislav and Christina Grof summarized the hero’s journey by asserting, ‘One receives a yearning or “call” from the forces of the unconscious; undergoes lonely separation from family and beliefs; is initiated and transformed by jarring, painful interior and exterior life events; and is finally reborn, re-integrated body, mind and spirit, and returned to life as a new being with mature gifts and understandings’ (1992, 5). Many people are undergoing a profound personal transformation associated with spiritual opening. Under favorable circumstances, this process results in emotional healing, a radical shift in values, and a profound awareness of the mystical dimension of existence. For some, these changes are gradual and relatively smooth, but for others they can be so rapid and dramatic that they interfere with effective everyday functioning, creating tremendous inner turmoil. Unfortunately, many traditional health-care professionals do not recognize the positive potential of these crises; they often see them as manifestations of mental disease and respond with stigmatizing labels, suppressive drugs, and even institutionalization. In The Stormy Search for the Self, Christina and Stanislav Grof, the world's foremost authorities on the subject of spiritual emergence, draw on years of dramatic personal and professional experience with transformative states to explore these "spiritual emergencies," altered states so powerful they threaten to overwhelm the individual's ordinary reality. This book will provide insights, assurances, and practical suggestions for those who are experiencing or have experienced such a crisis, for their families and friends, and for mental-health professionals. 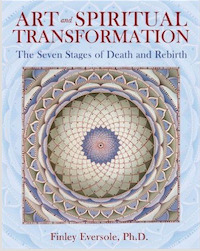 It is also a valuable guide for anyone involved in personal transformation whose experiences, though generally un-traumatic, may still at times be bewildering or disorienting. 244.Can it be true that all this vast travail, all this long long ingathering of experience, all this travel to the farthest limit, is only to end in negation, in unlearning all knowledge and returning to where we started? My heart does not believe it, my reason cannot accept it. 245.The human entity has travelled through joy and suffering, experienced birth and death, experimented with good and evil for the very purpose of becoming a fully conscious entity. How then could annihilation — Vedantic or any other kind — be its ultimate fate? 246.Is it for this, that man should end as a mere speck of dust, that he was born? Consciousness, aspiration, insight, and inspirations, artistic creations and scientific revelations, the noblest ethical feelings — all useless because the being they serve is destined to vanish utterly? If all man's seeming progress comes to an end with his death, his own end, how futile it is! It helps little to say that others will benefit by it, for this merely shifts the futility to them, for they too will die. The human situation is unsatisfactory, as the Buddha tirelessly asserted and as the Biblical Psalmist succinctly lamented. 247.We know that the cosmos manifests itself out of the divine Mind, and within it, too. But why there should be such a manifestation at all, we do not know. Many students raise this query and are dissatisfied at the failure to obtain a good answer. But the fact is that such questions cannot be adequately answered on the same plane as that on which they arise. If we could shift our consciousness to a higher one, we would find that they simply do not exist there. However, although complete adequacy may be unattainable, some sort of working answer can be formulated and used for and by those who are unable to effect such a shift. If the human entity has no other purpose to fulfil on this earth than to return to the sphere of its origin, then it had no business to leave that sphere. There must be something to be gained by its earthly journey, if the universe has any sense in it at all. 251.All this vast evolution of environments and their entities has but one ultimate aim from man's point of view and so far as he is concerned. It is to bring him into a miniature likeness to his divine Parent, to make him into an image of godlike beauty, power, wisdom, and being. 254.The journey of life is both an adventure and a pilgrimage. We pass from body to body to collect experience. The fruit of experience is Enlightenment: the knowledge of Overself, established awareness of its presence; and knowledge of the Unseen Power behind the universe, established connection with it. 256.Students who have come finally to philosophy from the Indian Advaita Vedanta, bring with them the belief that the divine soul having somehow lost its consciousness is now seeking to become self-conscious again. They suppose that the ego originates and ends on the same level — divinity — and therefore the question is often asked why it should go forth on such a long and unnecessary journey. This question is a misconceived one. It is not the ego itself which ever was consciously divine, but its source, the Overself. The ego's divine character lies in its essential but hidden being, but it has never known that. The purpose of gathering experience (the evolutionary process) is precisely to bring it to such awareness. The ego comes to slow birth in finite consciousness out of utter unconsciousness and, later, to recognition and union with its infinite source. That source, whence it has emanated, remains untouched, unaffected, ever knowing and serenely witnessing. The purpose in this evolution is the ego's own advancement. When the Quest is reached, the Overself reveals its presence fitfully and brokenly at first but later the hide-and-seek game ends in loving union. 257.What is the use, ask many questioners, of first, an evolution of the human soul which merely brings it back to the same point where it started and second, of developing a selfhood through the long cycles of evolution only to have it merged or dissolved in the end into the unselfed Absolute? Is not the whole scheme absurdly useless? The answer is that if this were really the case, the criticism passed would be quite a fair one. But it is not the case. The unit of life emanated from the Overself begins with the merest glimmer of consciousness, appearing on our plane as a protozoic cell. It evolves eventually into the fullest human consciousness, including the intellectual and spiritual. It does not finish as it began; on the contrary, there is a grand purpose behind all its travail. There is thus a wide gulf between its original state and its final one. The second point is more difficult to clear up, but it may be plainly affirmed that man's individuality survives even in the divinest state accessible to him. There it becomes the same in quality but not identical in essence. The most intimate mental and physical experiences of human love cast a little light for our comprehension of this mystery. The misunderstanding which leads to these questions arises chiefly because of the error which believes that it is the divine soul which goes through all this pilgrimage by reincarnating in a series of earthly forms. The true teaching about reincarnation is not that the divine soul enters into the captivity and ignorance of the flesh again and again but that something emanated from the soul, that is, a unit of life that eventually develops into the personal ego, does so. The Overself contains this reincarnating ego within itself but does not itself reincarnate. It is the parent; the ego is only its offspring. The long and tremendous evolution through which the unit of life passes from its primitive cellular existence to its matured human one is a genuine evolution of its consciousness. Whoever believes that the process first plunges a soul down from the heights into a body or forces Spirit to lose itself in Matter, and then leaves it no alternative but to climb all the way back to the lost summit again, believes wrongly. The Overself never descends or climbs, never loses its own sublime consciousness. What really does this is something that emanates from it and that consequently holds its capacity and power in latency, something which is finited out of the Overself's infinitude and becomes first, the simple unit of life and later, the complex human ego. It is not the Overself that suffers and struggles during this long unfoldment but its child, the ego. It is not the Overself that slowly expands its intelligence and consciousness, but the ego. It is not the Overself that gets deluded by ignorance and passion, by selfishness and extroversion, but the ego. The belief in the merger of the ego held by some Hindu sects or in its annihilation held by some Buddhist ones, is unphilosophical. The "I" differentiated itself out of the infinite ocean of Mind into a distinct individuality after a long development through the diverse kingdoms of Nature. Having thus arrived at consciousness of what it is, having travelled the spiral of growth from germ to man, the result of all this effort is certainly not gained only to be thrown away. Were this to happen then the entire history of the human race would be a meaningless one, its entire travail a resultless one, its entire aspiration a valueless one. If evolution were merely the complementary return journey of an involutionary process, if the evolving entity arrived only at its starting point for all its pains, then the whole plan would be a senseless one. If the journey of man consisted of nothing more than treading a circle from the time of his emergence from the Divine Essence to the time of his mergence back into it, it would be a vain and useless activity. It would be a stupendous adventure but also a stupid one. There is something more than that in his movement. Except in the speculations of certain theorists, it simply does not happen. The self-consciousness thus developed will not be dissolved, extinguished, or re-absorbed into the Whole again, leaving not a trace behind. Rather will it begin a new spiral of evolution towards higher altitudes of consciousness and diviner levels of being, in which it will co-operate as harmoniously with the universal existence as formerly it collided against it. It will not separate its own good from the general good. Here is part of the answer to this question: What are the ultimate reasons for human wanderings through the world-process? That life matters, that the universe possesses meaning, and that the evolutionary agonies are leading to something worthwhile — these are beliefs we are entitled to hold. If the cosmos is a wheel which turns and turns endlessly, it does not turn aimlessly. Evolution does not return us to the starting point as we were. The ascent is not a circle but a spiral. Evolution presupposes that its own possibility has always been latent within the evolving entities. Hence the highest form is hidden away in the lowest one. There is development from the blindly instinctive life of animals to the consciously thinking life of man. The blind instinctive struggles of the plant to sustain itself are displaced in the evolutionary process by the intelligent self-conscious efforts of the man. Nor does this ascent end in the Vedantic merger or the Buddhistic annihilation. It could not, for it is a development of the individuality. Everywhere we find that evolution produces variety. There are myriads of individual entities, but each possesses some quality of uniqueness which distinguishes it from all others. Life may be one but its multitudinous expressions do differ, as though difference were inherent in such expression. Evolution as mentalistically defined by philosophy is not quite the same as evolution as materialistically defined by Darwin. With us it is simply the mode of striving, through rhythmic rise and fall, for an ever fuller expansion of the individual unit's consciousness. However, the ego already possesses all such possibilities latently. Consequently the whole process, although apparently an ascending one, is really an unfolding one. If the stories of angels and demons battling it out for your soul don’t resonate with you, you might think of their opposing forces in a less poetic way, using the language of brain science. Each of us has neural pathways in our brain – functionally and chemically connected neurons – that are created when neurons that fire together then wire together. These networks act as information superhighways that reinforce the beliefs that lead us to act angrily, greedily, and lustfully in order to guard against perceived threats to our survival. Remember that the limbic brain functions with beliefs about reality, while the new brain works with theories that it tests out against reality. Can neuroscience deliver on the promises presented by religion: freedom from suffering, violence, scarcity, and disease? Can neuroscience deliver us into a life where health, peace and abundance reign? The pledges of the world’s religions are so universal that it’s likely the longing for joy, inner peace, and well-being are hardwired into the human brain and have become a social instinct as powerful as the drive to procreate. The Bible, the Koran, and Buddhist and Hindu scriptures all teach that we can be delivered into a paradise-oriented state, whether after death, at the end of time, following many reincarnations, or as a result of personal effort and merit. This state of liberation is called grace or Heaven by Christian religions, Paradise by Muslims, while Eastern traditions refer to it as awakening or enlightenment, using various terms such as samadhi, multi, bodhi, satori, and nirvana. But what if grace, samadhi, and enlightenment are really based in biological science? What if these are states of higher order and complexity created by programmable circuits in the brain? What if these circuits could make it possible to attain lifelong joy, inner peace, health and well-being now, in this physical world, and not in some distant future or afterlife? A shaman undergoes a rite of passage, a Dark Night of the Soul, in order to have this ability. The wounded healer is an archetype for the shamanic training or journey. A shamanic dismemberment is the language unique to the shamanic's dark passage. "One thing that comes out in myths is that at the bottom of the abyss comes the voice of salvation. The black moment is the moment when the real message of transformation is going to come. At the darkest moment comes the light." Some parts of the spiritual journey feel as if we’re lost in a wasteland, not knowing where we are or where we’re going, and wondering if we’re just traveling in circles. For long stretches of the journey, the quest requires great self-investment for seemingly little in return. For individuals who adhere to a particular spiritual discipline, commitment wavers during these dry spells. For those in whom the Kundalini has autonomously risen, there is no alternative, no possibility of backing out. Kundalini has Her own unstoppable momentum. At times, despite the dynamism of this Force that has reshaped our destiny, we sink into doubt. What began in fear or amazement has gone through seasons of joy, hope, disillusionment, and despair. When, we ask ourselves, does the process bear significant fruit? How long must we suffer through the daily pummeling of body and psyche? As weeks turn into months and years, our faith in the benevolence and guiding presence of the Spirit is sorely tested. Radiant gifts of bliss, beauty and unmistakable blessing are overshadowed by long sieges of pain, torment and physical/emotional depletion. Even if we want to surrender to the workings of the process, often we do not know how. Charles Breaux says that after an initial six months of “incredible ‘peak experience,’ the dross began spewing out” into his external life. 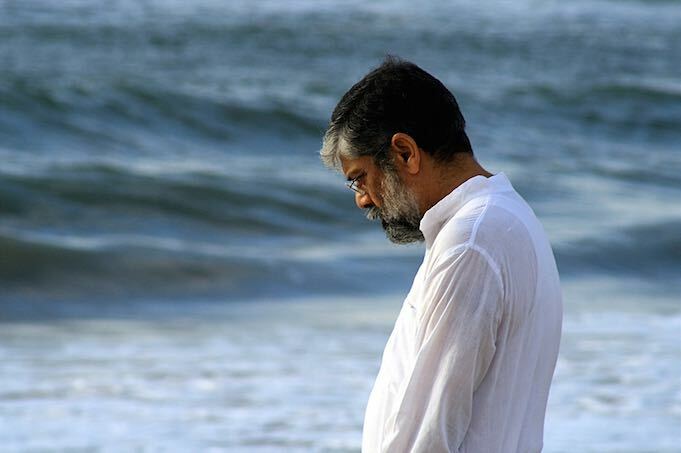 He wrote: “These last seven years have been one intense drama after another, the deepest and darkest karmic patterns within me have been relentlessly quickened by the power of Kundalini.” At the end of his book Journey into Consciousness, he confesses that he continues to wonder if the necessity for letting go will ever cease. Spells of depression are a common feature of the transformational journey. I am, in fact, in a funk as I write this. At times I doubt the value of writing anything for this site and question the benefits of Kundalini. From where I sit at this moment, it seems as if years of the process — and of my life in general, for that matter — have been little more than an endurance test. And I will make a light of it to make you weep. A woman experiencing a lengthy Kundalini awakening told me of a period where she was having frequent nightmares from which she awoke screaming. All these terrible dreams had the same theme: “they” were hacking her to pieces. Eventually, these dreams began to change, and instead of being chopped up, dream figures were putting her back together in a way that made her — like the Bionic man — “better and stronger” than ever before. The path of return is not only joyous but also frightening. In a madras from the Talmud, the first night Adam and Eve spend outside Eden fills them with fear that the world will return to darkness and void. They reflect on their actions, regretting that are the fruit of knowledge of good and evil. When dawn arrives, they come to understand night is not a punishment: It is the way of the night to fall and the way of the day to come again. Adam offered a sacrifice perhaps also indicates that his soul-searching has drawn him closer to God. 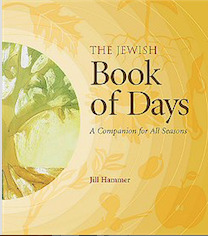 Rosh Hashanah falls as the days grow perceptibly shorter. It is a re-creation of the first human’s long night. In this mythic darkness, we move through anxiety about our future toward a sense of gratitude and understanding. Adam and Eve discover darkness is not permanent but part of a larger cycle of life. On Rosh Hashanah, we too pass through a dark night of the soul so we may renew ourselves. This interdisciplinary conference focuses on the study of melancholy as a historical- anthropological phenomenon and scientific medical concept from a transcultural perspective. It will discuss influential narratives and perceptions of gloom as articulated in various national and cultural contexts – in Europe, Russia and Asia – since the middle of the 19th century, and will examine their mutual penetration and transformation. The central question concerns the extent to which the paradigm shift from a perception of melancholy shaped by natural philosophy, literature and art to a psychopathological condition conceptualised using scientific terminology can be described as a global phenomenon. The production of certain concepts and ontologies of melancholy in a specific historical context is to be understood as a dynamic cross-border process in which “traditional”, more or less established, forms of knowledge and science – among them medical systems – are affected, challenged or closely intertwined by “wandering ideas” in the sense of a “circulation of knowledge” or “culture on the move”. The key concern of this conference is to discuss competing concepts of melancholy and their mutual penetration and transformation against the backdrop of cultural flows, in particular flows of knowledge and science between Europe, Russia and Asia. In concrete terms, this conference seeks books or texts and ideas (medical and scientific as well as philosophical or social) produced in one cultural context and transmitted or transferred to another, translated from one to the other language, or adapted, changed, transformed, etc. Further, the conference addresses the people and institutions as well as agents and brokers involved in or affected by these kinds of transcultural flows and cross-border activities. Last but not least, this conference focuses on global flows of cosmopolitan psychiatry and the circulation of concepts of mental illnesses such as melancholy or depression and the ontologies that they produced in different historical and cultural contexts. In Hinduism, the search for God begins with journeys to various temples and seeing the idols of Gods there. Once the Darshan (seeing idols of God) is completed, the custom indicates that we sit in the temple for sometime. This custom, when we really dig deep for its meaning, indicates that we relax there so as to start seeking the God within oneself. Hence, the seeking of God starts from outside in the form of idols in temples and ends in finding God within oneself. The way in which this person was so involved in his thoughts indicated to me that he was seeking peace and solace in the beach. The beach in the mornings is such a beauty to behold and a perfect place for finding one’s bearings. A soothing sunrise, the sweet sound of waves, the fresh breeze and lots of solitude are the best concoctions for peace. I hope, wish and pray that he found his peace in the beach and eventually, within himself.